Founded in 1983, Dreambaby® is an internationally renowned child safety brand 983, available in more than 80 countries. Their extensive range of products is specifically designed to provide parents and caregivers with modern home safety solutions that make it easy to help keep children safe in and around the home. Dreambaby®’s products are designed to not only help make your home safer, but also to make life easier. Initially they sold their products in Australia and New Zealand, in about 6,000 outlets including DIY Home Improvement stores, mass merchants, grocery, drug, specialist and independent stores. However, since 2000 they have exported Dream Baby® worldwide. The NEW to market Dreambaby® Adhesive Mag Lock® takes the existing Mag Lock® range to the next level. it is ideal for renters, holiday makers, family day care providers and even grandparents as it provides the convenience of engaging, disengaging, installing and taking off these locks when and where needed! The Dreambaby® Mag Lock® Magnetic Locking System is a renowned and patented, one-of-a-kind safety tool that is very simple to use and is the ultimate child safety lock on the market. The Mag Lock® is hidden inside your cupboards and drawers – safely out of the way of curious children. Once in place, these locks can only be released with the use of the powerful Mag Lock® Magnetic Key. Ordinary fridge magnets will not open the lock. 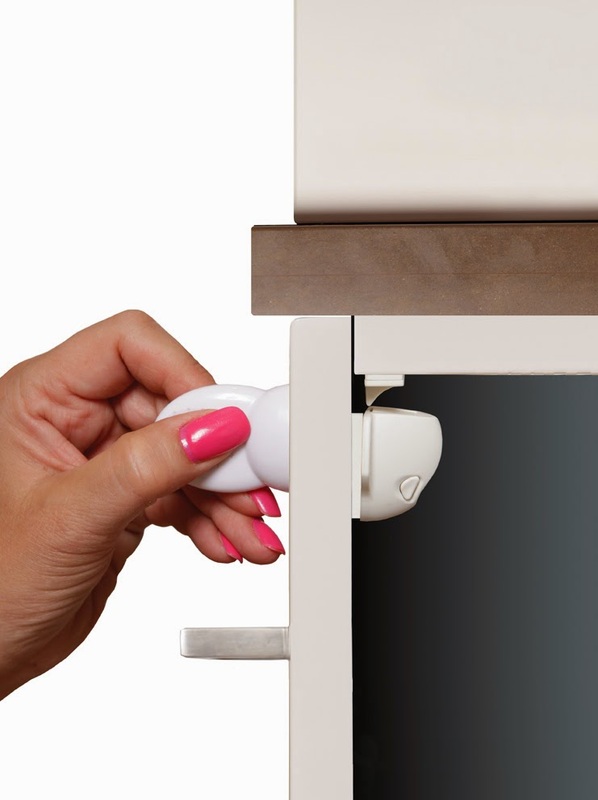 Now with the added benefit of being able to easily remove and re-install, the Dreambaby® Mag Lock® Magnetic Locking System, is a MUST-HAVE lock for anyone who needs to lock doors, drawers and cupboards on a regular basis. Additional screws, giving you the option of installing your Dreambaby® Adhesive Mag Lock® more permanently. Easy-to-read templates to ensure you position and install your locks in the right place, without the stress of measuring and calculations. Oma loves the fact that while you can use screws to fasten the Dreambaby® Adhesive Mag Lock®; there is a less permanent adhesive option. Also, Oma loves that these gadgets are hidden and virtually invisible. This product works just as advertised and supplies peace of mind when Oma babysits Reef Indy.